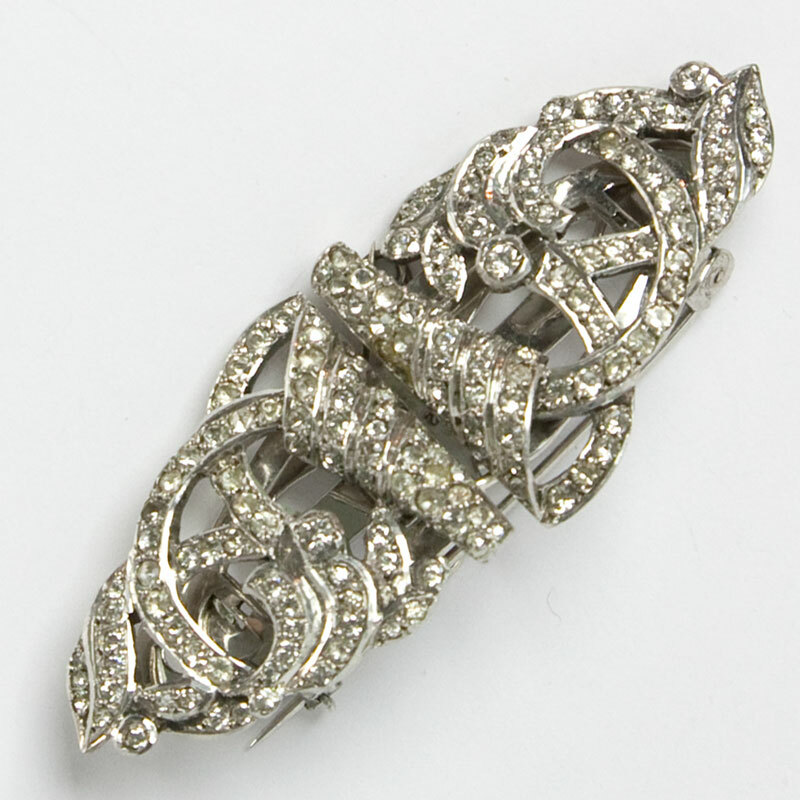 Brooch: 2 5/8" x 1"; clip: 1 1/4" x 1"
This diamanté brooch, which can also be worn as separate dress clips, may be European in origin. 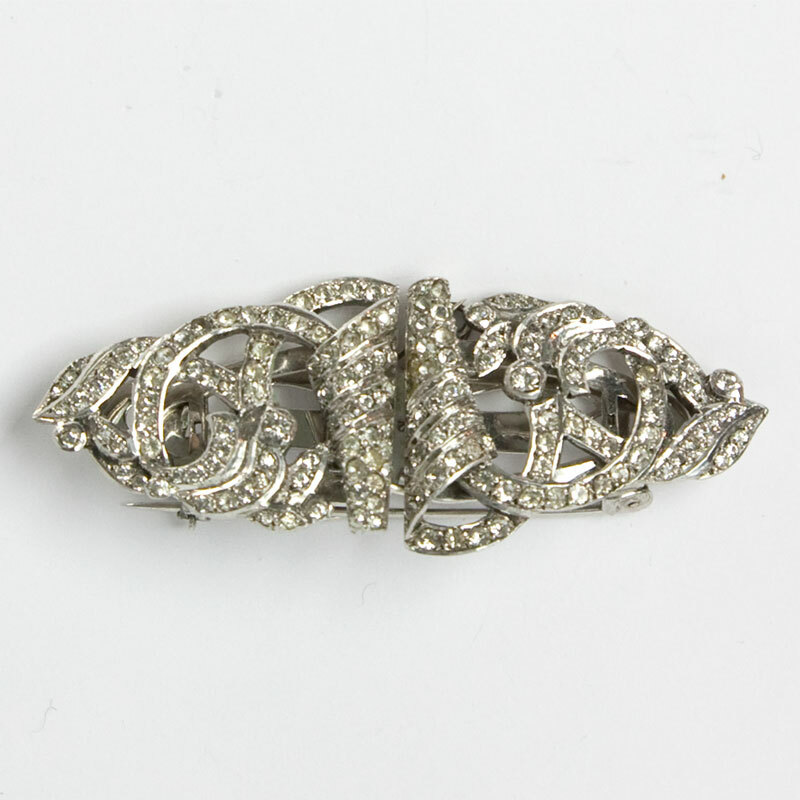 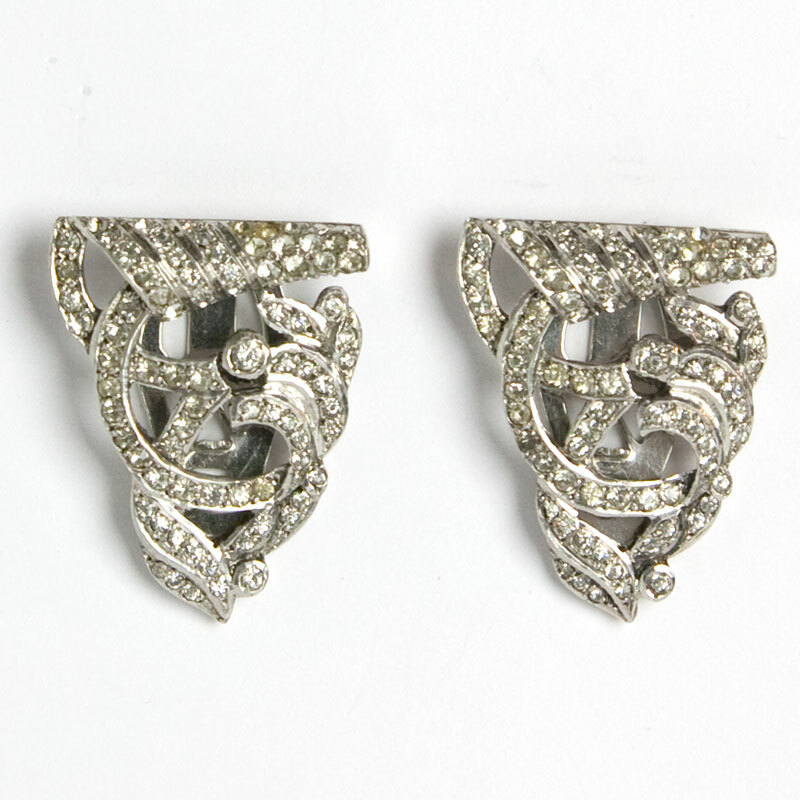 The curvy design makes me think the piece is from the 1940s, which was the height of the popularity of the double-clip brooch. 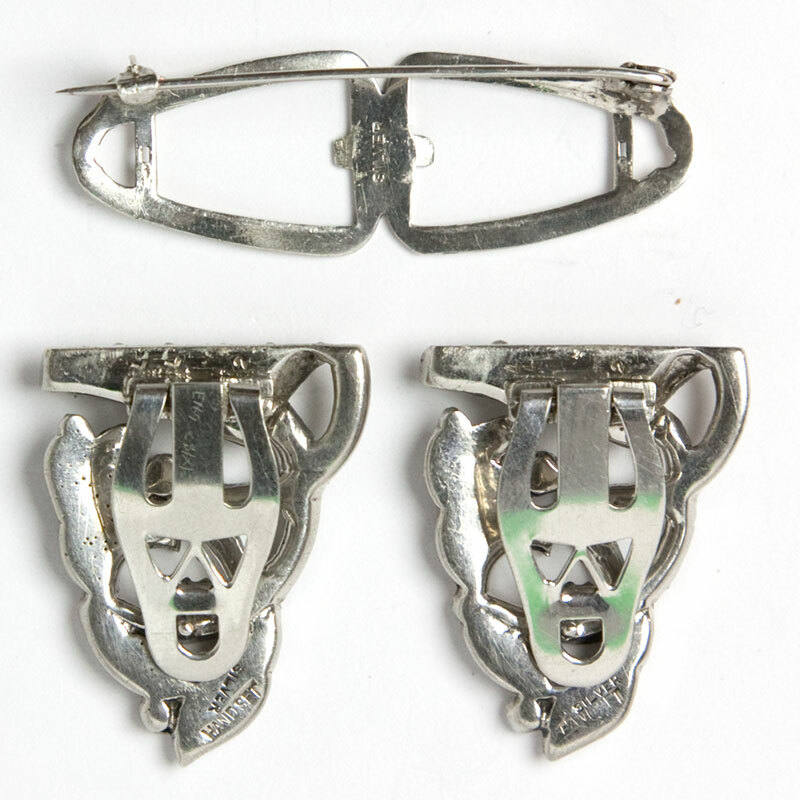 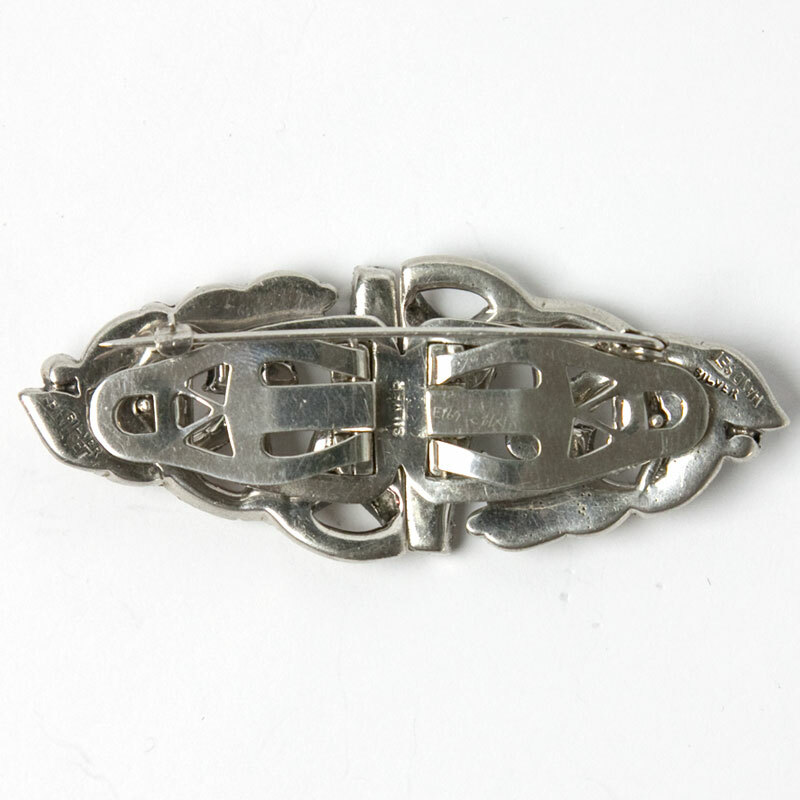 Although it is marked “SILVER”, I don’t think this brooch is sterling. Nevertheless, the workmanship is excellent, and the sparkle remains.